The Hero World Challenge golf tournament is this this week, and it’s hosted by Tiger Woods—though Woods isn’t playing, as a series of injuries limited him to just 11 starts on tour this year, culminating in a pair of back surgeries early this fall. When will Woods be back? Will Woods be back? 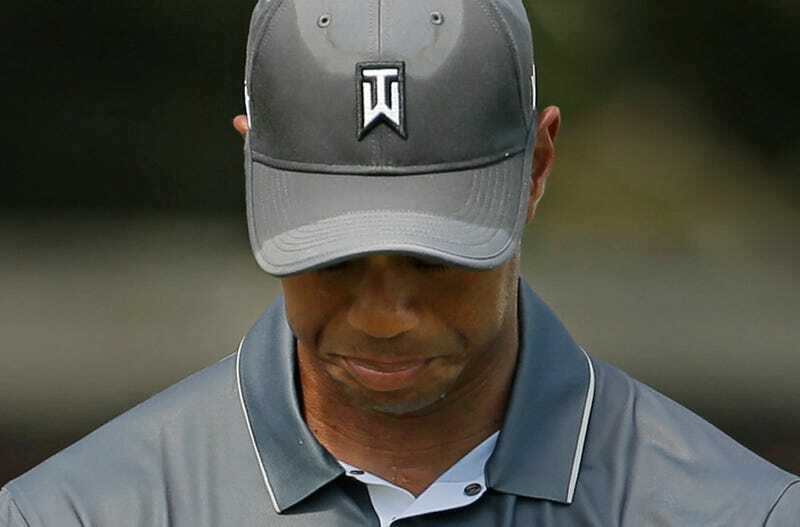 Speaking at the tournament today, Woods sounded more fatalistic than we’ve ever heard him. The Golf Channel’s Tiger Tracker livetweeted Woods’s presser, and, honestly, the 400th-ranked player in the world doesn’t sound in a good place golfwise. There’s an optimistic way to read all this, if you’re so inclined, especially that penultimate quote about playing with house money from here on out. For years now, Woods has been bullishly/mulishly upbeat about his chance to regain his form, in the face of all of the results, the aging process, and common sense. It was depressing to watch him throw on red on Sundays, talk about catching Jack Nicklaus, and swear that he was just some work on his swing away from recapturing prime Tiger. Now? Maybe he’s come to terms with the fact that he’s functionally done as a threat, and can just enjoy playing golf, and maybe even challenging for a win on occasion. That sounds a lot more gratifying than pretending time doesn’t run inexorably forward until our inevitable deaths.